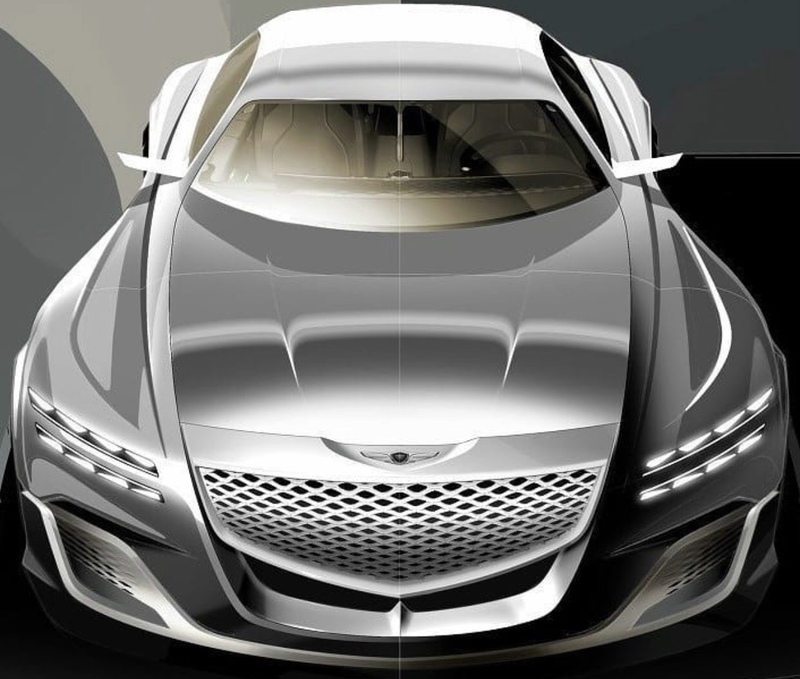 After we get noticed that Genesis will showcase its third generation G80 luxury sedan at the New York AutoShow on April, we are considering that the first official teasers from the brand would be revealed soon, while that we could have an idea thanks to this Instagram user @leebohoon21 recreation. This will be reflected in the next-generation design philosophy of Genesis, which was introduced on the Essentia concept and also with GV80 SUV concept car. 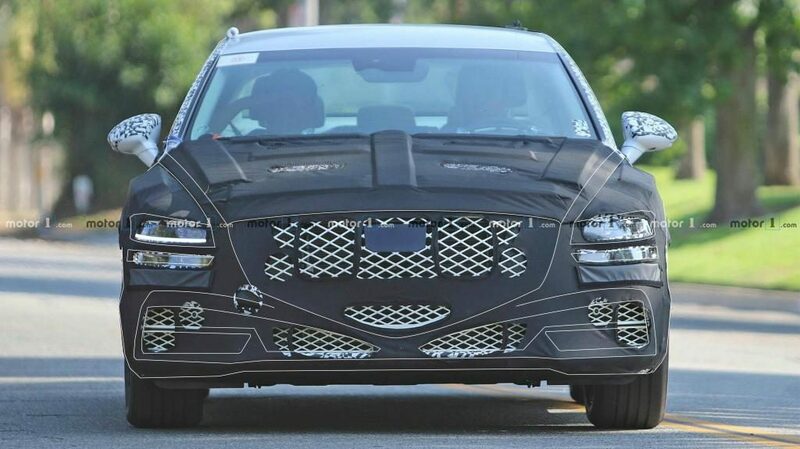 The new G80 will feature a slim body design inspired by the coupe with a fully separated quad LED healights system, a pentagonal crest front grille, a low, long side profile line and a sporty rear view design. The big improvement will come in the powertrain side, while the Hyundai Motor Group will give it all with the introduction of two new engine families. First will be the 2.5-liter and 4-cylinder Theta III engine offered with Twin-Turbo system and with a final output of 300 hp. The 3.3-liter gasoline twin-turbo engine in the high-performance G80 Sport is expected to be change for a new 3.5-liter Lambda III engine delivering up to 400 horsepower. There are also speculations that the 2.2-liter diesel engine will be replaced by a new 3.0-liter V6 diesel engine. In addition to the internal combustion engine, the new G80 is also expected to include some electric powertrain. Some consumers are waiting for the launch of a pure electric car from Genesis, but it is unlikely due to we have not see yet any Hyundai Motor’s electric car bigger than small- or mid-sized vehicles. Models equipped with 48V mild hybrid system are more likely to be added to the line-up than pure electric cars. There is a reason for downsizing and green powertrain in the new G80. In addition to keeping pace with the global automotive market trend, it is an integral part of the Genesis brand’s entry into overseas markets. The reason for the early withdrawal of the G80 in the European market after the launch of the G80 is that it does not have a clear presence as a new luxury brand model. The introduction of a downsizing engine is an essential task in order to enter and successfully enter overseas markets including Europe, which is the home of premium brands.